In their pursuit to offer customers a variety of custom yachts, Blohm + Voss have unveiled their latest project, a 120 m exploration yacht. An explorers delight, the 120 MY/X has been laid out to combine the capability of worldwide cruising at a maximum possible comfort. 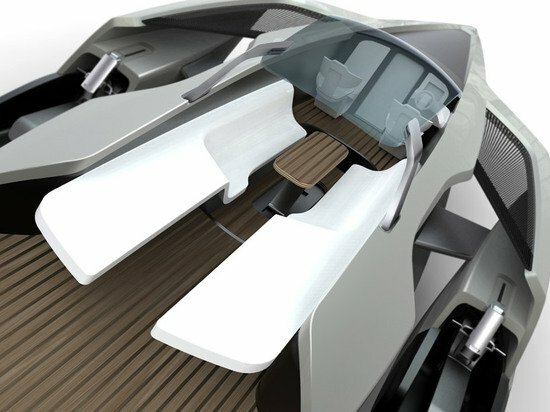 An eco-friendly yacht, it boasts of a diesel-electrical propulsion system powering 3 pod drives for a maximum speed of 18.5 knots. Designed to ensure lowest noise and vibration levels, this yacht is spacious enough to carry all your exploration equipments and gear. The entrance lobby in the main deck features a grand staircase and a lift that lead up to the Bridge Deck. In the aft part of the Bridge Deck is a lounge with seating areas that have impressive 180 degree views. 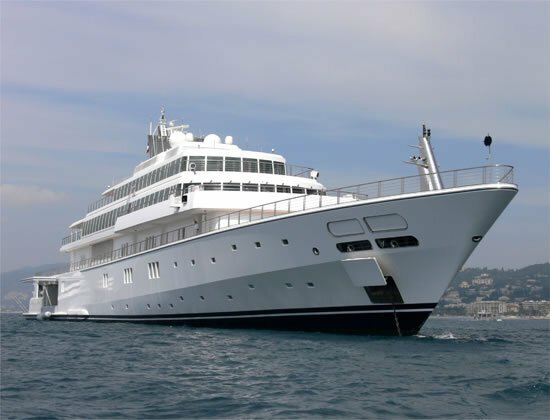 The large yacht can accommodate 16 guests besides the owner. Just below the Bridge Deck is the Owners Deck. The spacious Deck has a lavish duplex Owner’s suite that is connected via a private staircase to the Owner’s spaces on the Guests Deck. It features two bathrooms, a gym and a massage room! The Owner’s Saloon overlooks the exterior deck and has a direct access to the Jacuzzi in the bow area. There are also plans of building an office and meeting area in the vicinity. 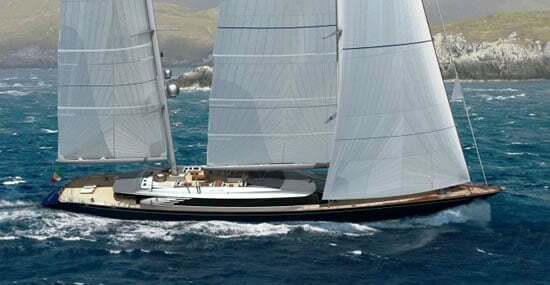 Guests too can be pampered I the yachts 8 beautiful guest cabins, six of which are located on the main deck while the other two are VIP duplex suites with bedroom on Guests Deck and dressing room and bathroom one deck above. The Guest Deck also features dining and lounge areas, as well as balconies on each side and ample exterior spaces around the swimming pool. A viewing area located in the very forward part of the bow overlooking the sea at approximately 8.50 m height above water is one of the many special features of this yacht. A spacious beach club at water level distributed over two levels with access to bathing areas makes for a unique relaxing and entertaining area. 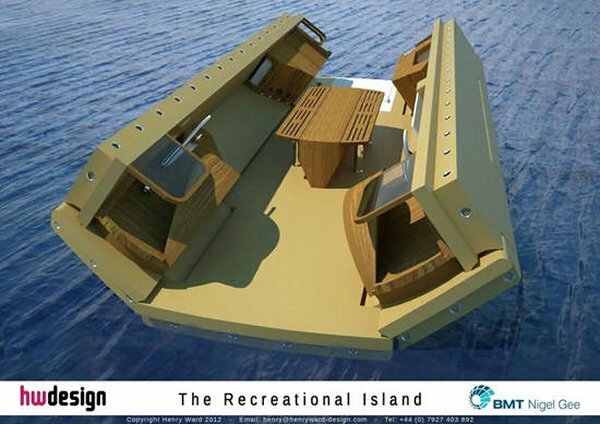 A strong vessel, it can house all your exploration equipment including tenders that range from 5,5m to 16m in length, a seaplane, an amphibian car and there is even space for an 8.50 m submarine! 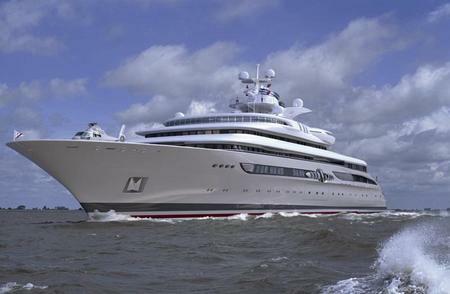 The yacht also has two heliports. 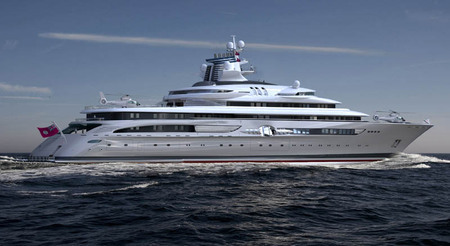 A truly amazing creation, exploring the deep seas in this yacht will definitely be a unique unforgettable experience.